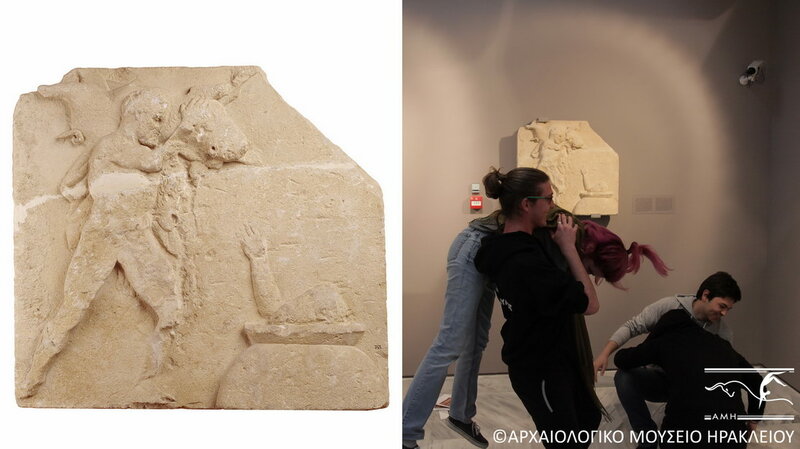 "Because the statues are no longer fragments. 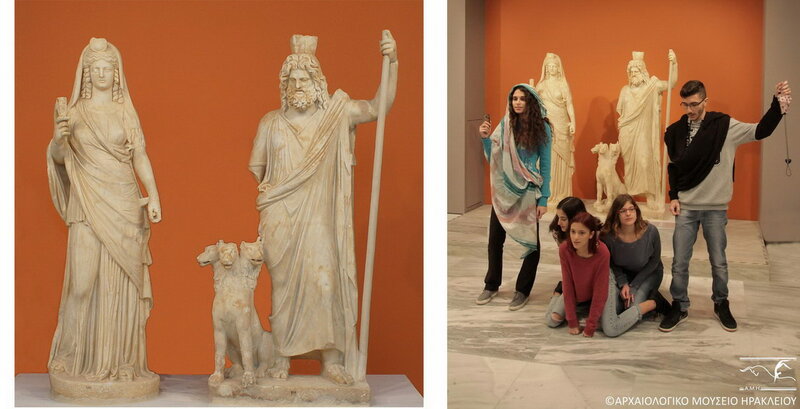 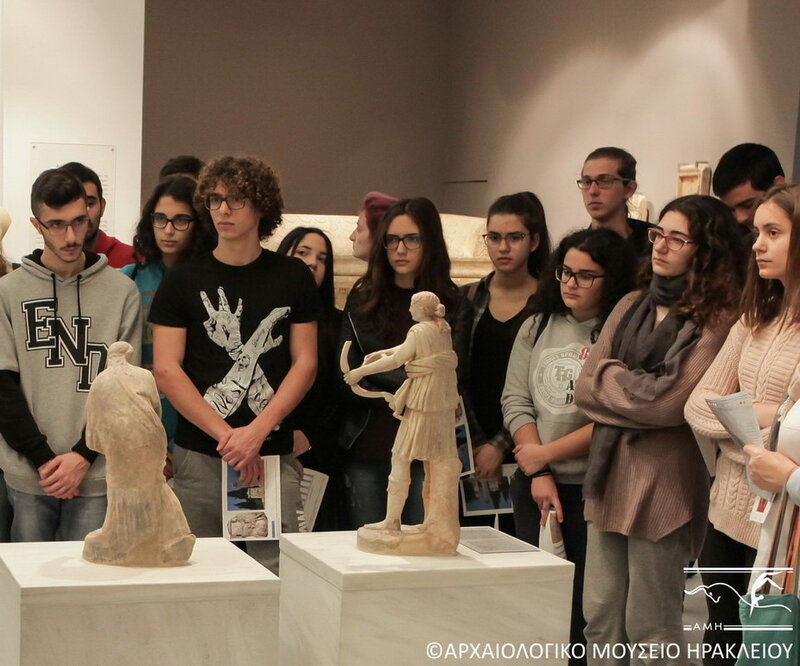 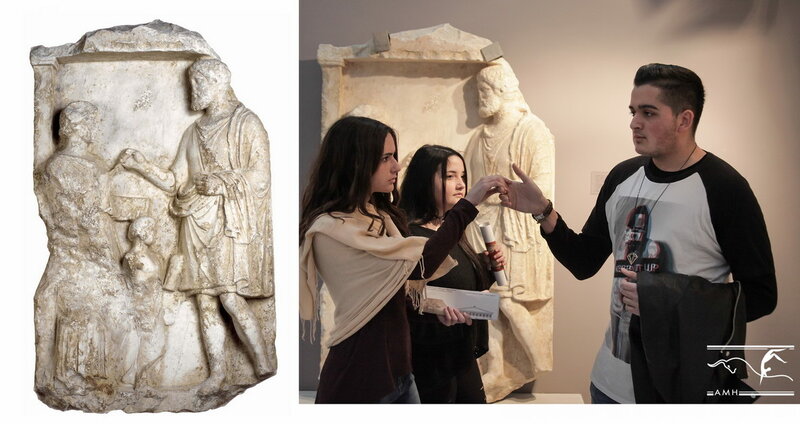 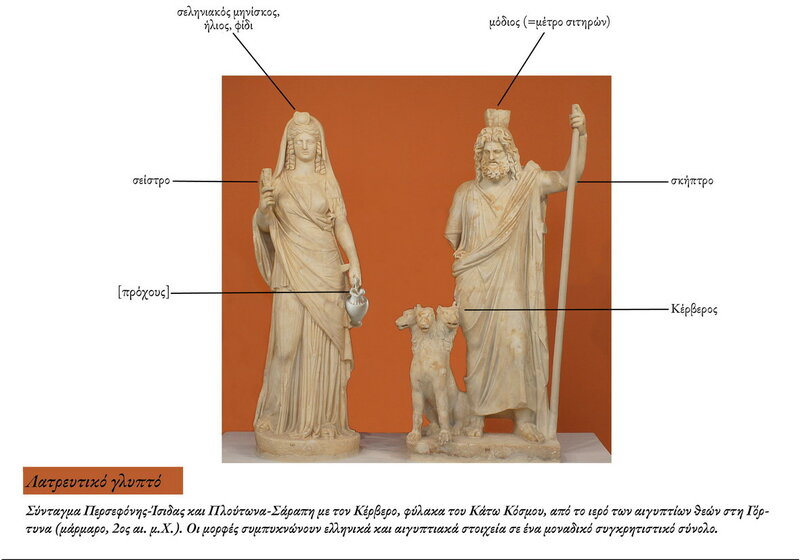 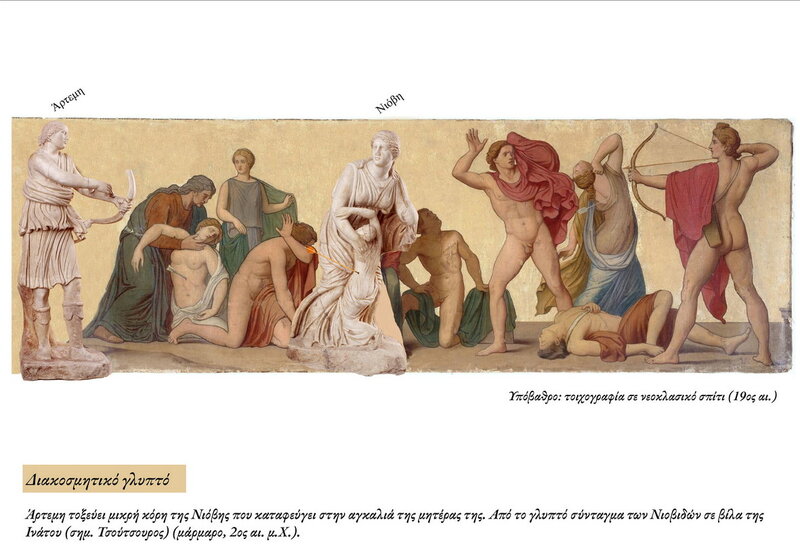 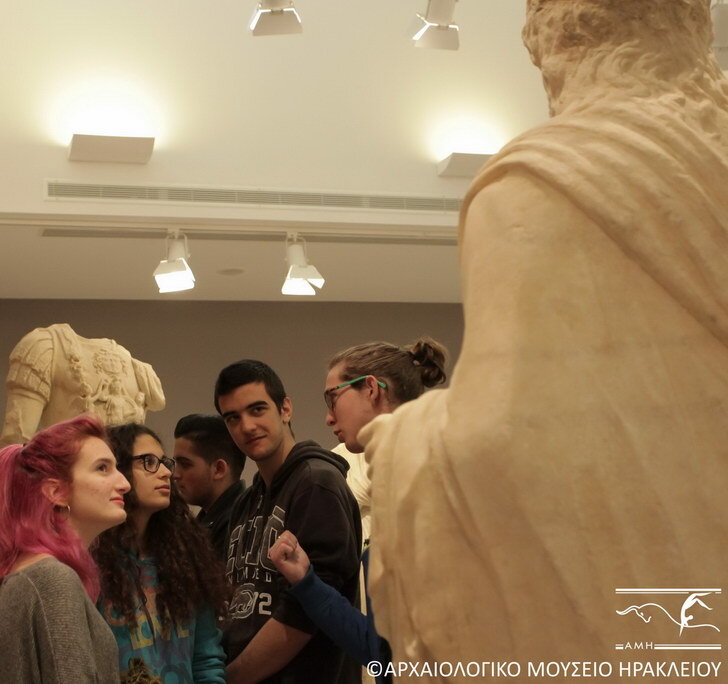 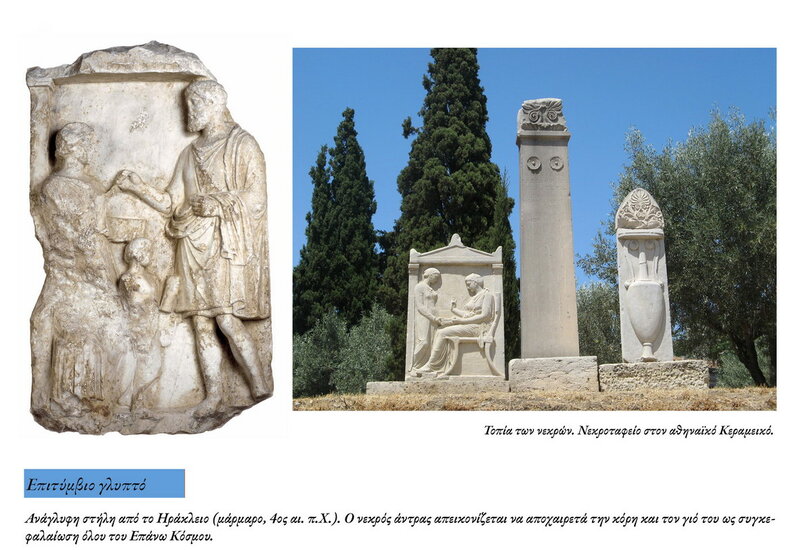 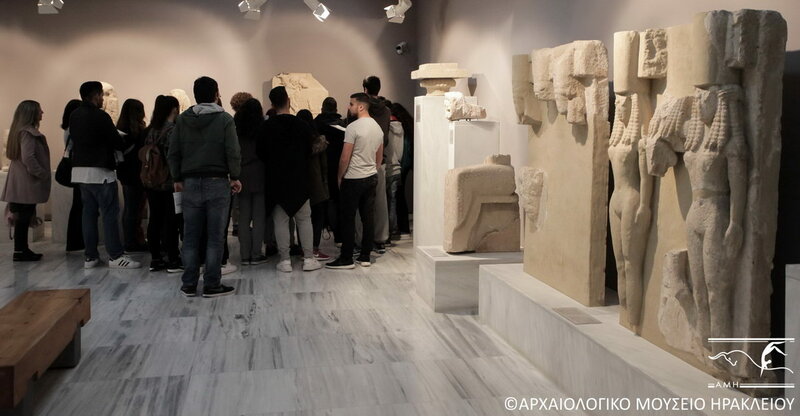 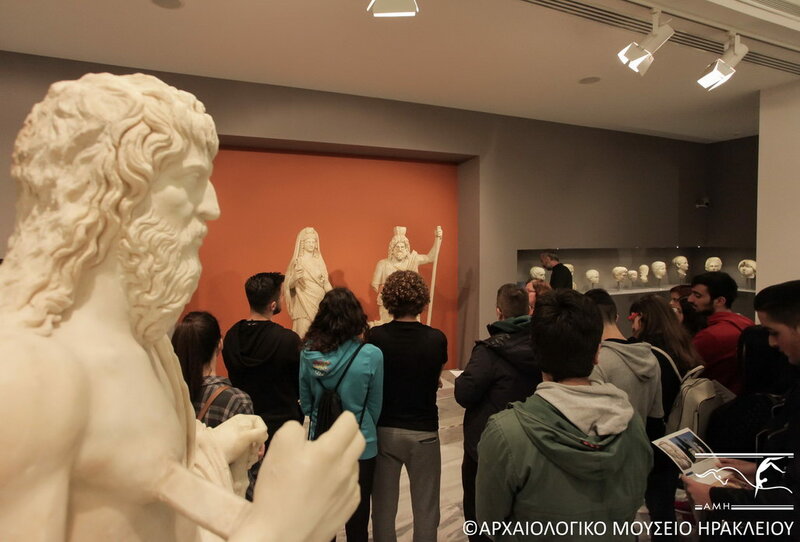 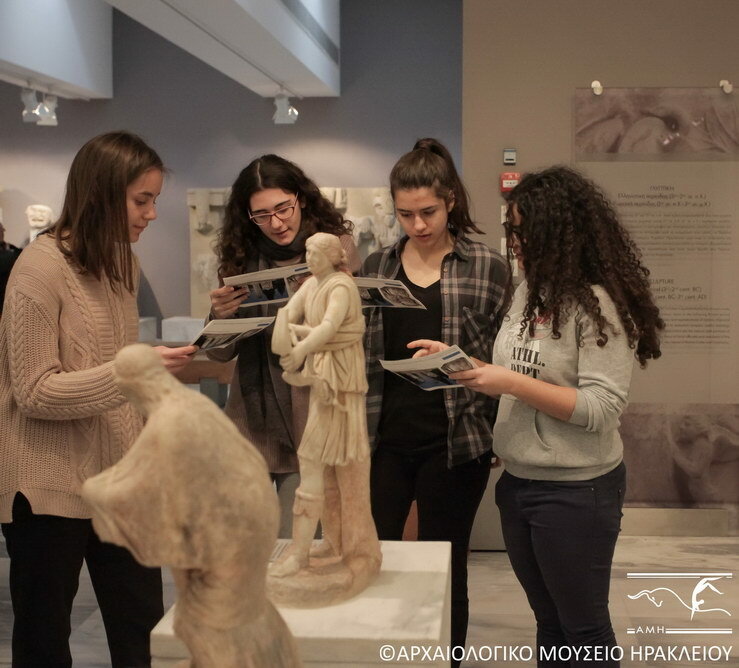 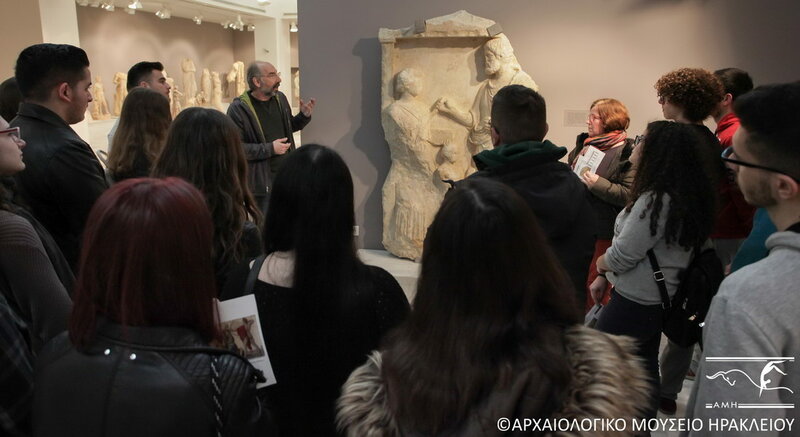 We are"
The pilot application of the experiential educational programme on ancient sculpture brought the 3rd Year of the 8th General Lyceum of Heraklion (teacher: Katerina Christinidou) to the Heraklion Museum and made a very good impression on all involved. 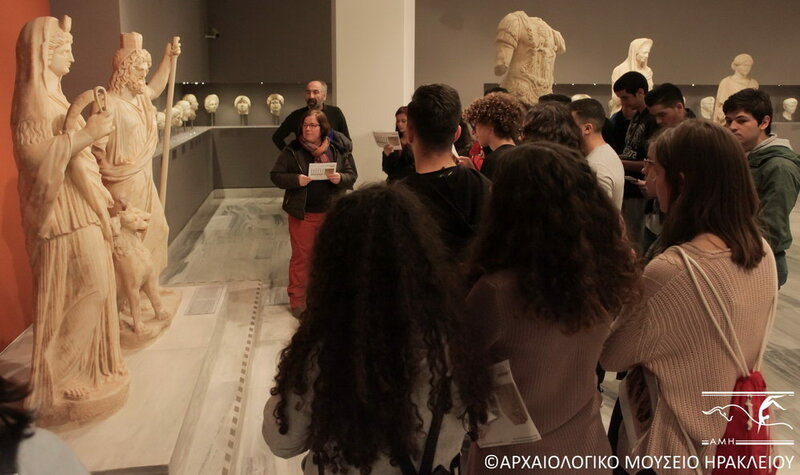 The link between the information carried by each of the selected sculptures and the emotion expressed by each of the figures represented elicited a reaction from the students, not so much with the aim of feeding them information but rather giving them the opportunity to practice viewing and understanding art and, above all, to externalise their own inner world by means of art. 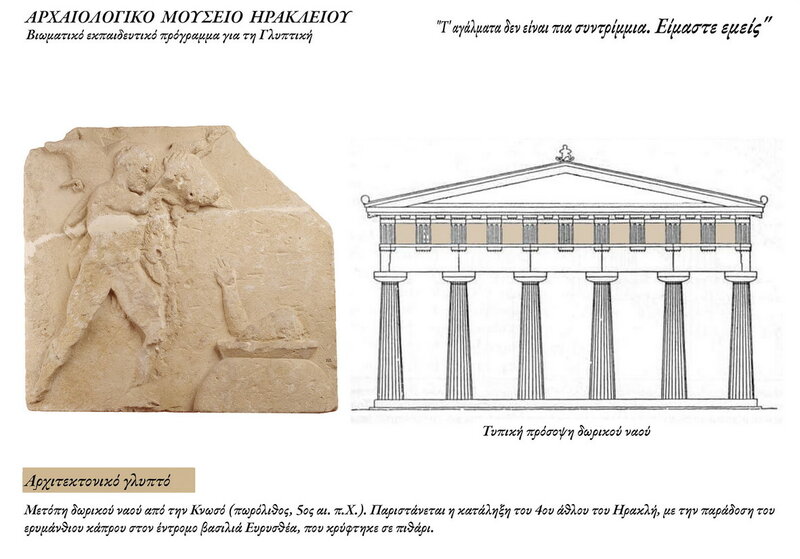 The live representation with the children taking the place of the statues, from gods to the three-headed Cerberus, and from mortals to the boar and even the inanimate pithos of Eurystheus, formed the high point of the whole endeavour, vindicating our efforts. 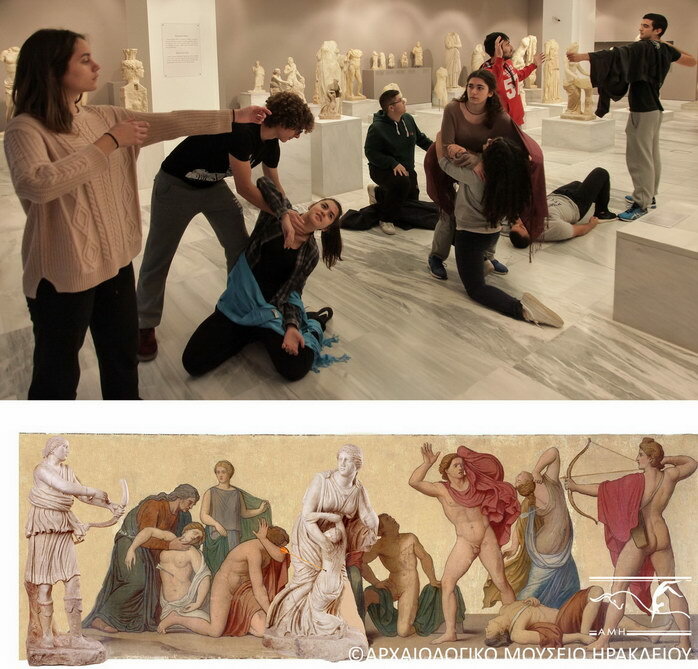 An innovative action, an unforgettable experience. 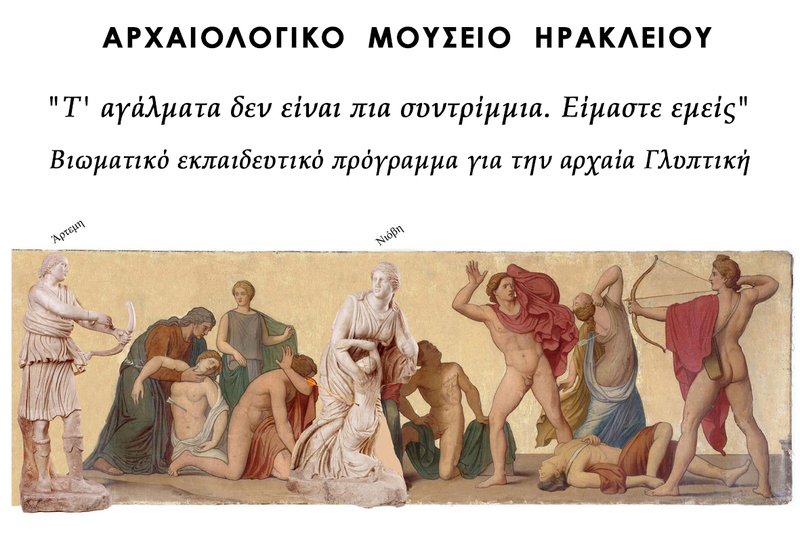 Thanks, kids!